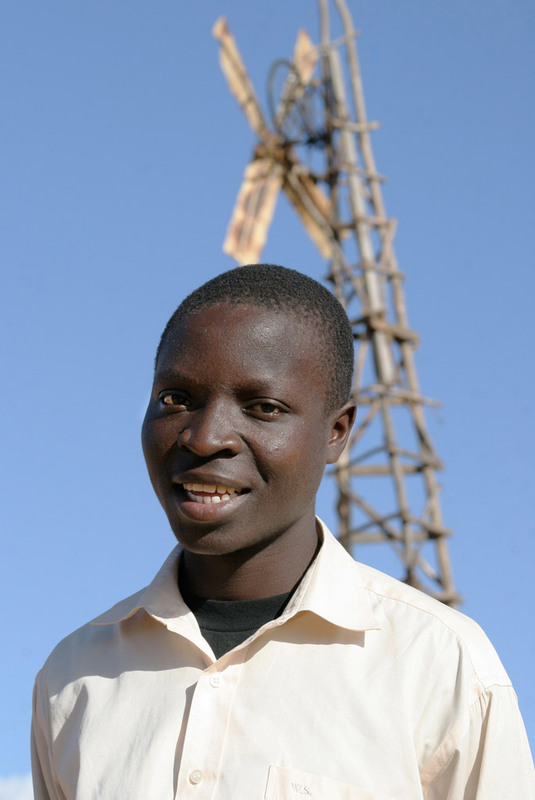 At the age of 14, William Kamkwamba, from a small Malawian village,built an electricity-producing windmill using only PVC pipe, a tractor fan, an old bicycle frame, and tree branches. The windmill powered the four lights and two radios in his home. He achieved this in a country, where only 2 percent of the population has access to electricity. He subsequently built a second windmill to pump water for a family garden. The windmill construction wasn’t supported by William’s family,only by some friends. However, he believed in himself and in his idea, and kept studying the illustration of a windmill in his book. He reasoned if someone else was able to build the machine, he too was capable. His invention was discovered and covered in local news outlets in 2007. After reading about William on a blog, TEDGlobal Conference Director, Emeka Okafor, spent several weeks searching to find him and invite him to attend TEDGlobal on a fellowship. After his TEDTalk and his front-page feature on the Wall Street Journal, the young Malawian received incredible international support, allowing him to return to school as well as to complete some other projects that he envisioned for his community,including a solar-powered water pump supplying clean water in his village, a water well drill to pump water from deeper spots, and a drip irrigation system to protect his family from future drought. William is currently majoring in environmental studies and minoring in engineering at Dartmouth University in the U.S. He is active in the Dartmouth Humanitarian Engineering program, which undertakes engineering projects that help improve communities in need. The program recently traveled to Tanzania and Rwanda to help install stoves, create water turbines, and produce wind power for local communities. After graduation, William plans to return to his village and use his Dartmouth education to create new energy resources for his village and his country. He is currently working on installing solar panels in some Malawi primary schools to allow students to use computers and give light for late night reading. You can support William and his work at MovingWindmills.org.